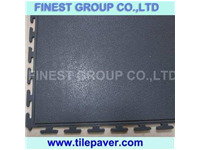 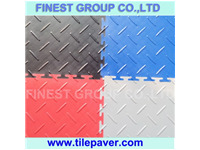 PVC Flooring DESCRIPTION Interlocking PVC Garage Floor Tiles are manufactured from 100% new PVC granules in versatile color and finishes coin dot, smooth accent, and other textured. 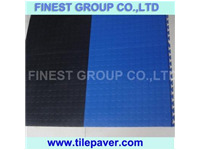 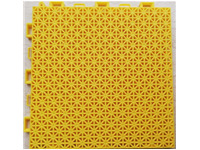 This PVC Interlocking flooring mat is used in both commercial and domestic applications. 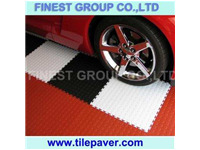 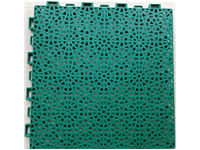 The attractive appearance an..
Interlocking PVC Flooring DESCRIPTION Interlocking PVC Garage Floor Tiles are manufactured from 100% new PVC granules in versatile color and finishes coin dot, smooth accent, and other textured. 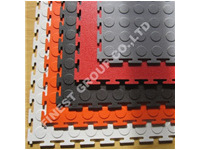 This PVC Interlocking flooring mat is used in both commercial and domestic applications. 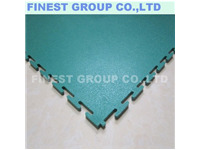 The attractive ..